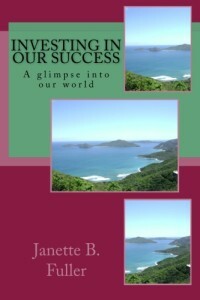 This book tells the stories of people in the Jamaica/Caribbean setting who have been achieving their versions of success in spite of the odds that they have had to face, but it will resonate with everyone who has been overcoming hardships, since it explores all facets of the human condition. Investing in our success: A glimpse into our world is biographical in nature, but it encapsulates multiple biographies – the biographies of a number of people who are in a particular setting, the Caribbean, and who have embarked on journeys to their versions of success. This book tells the stories of this group of people who, for the most part, hails from circumstances rife with deprivations, but who through their grit and determination as well as an action plan that they have crafted for their lives, have been rising above the circumstances of their birth. The stories of these people tug at the emotions in unexpected ways. They are stories about struggles and sacrifice, but they are also stories about winning against the odds.